London & Kent Roofing a family run business with over 40 years combined experience in the roofing industry. Working in South East London and Kent. A range of working VELUX integra windows including the new Active system. Coloured Cladding, Fascia and Gutters from Free Foam. Tiles, slates and much more. With a Showroom in Dulwich South East London and an office in Dartford where we can manage all our roofing projects in the London and Kent area’s. Our extensive knowledge of the roofing industry allows us to offer quality products installed to comply with both Building Regulations and British Standards. 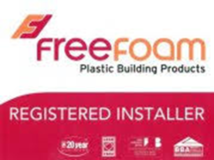 All new roofs come with a 10 year insurance backed guarantee and as members of the Competent Roofer Scheme we can self certify work complies with local building control regulations and supply a certificate of compliance at no additional cost, saving the householder around £300 in fees. 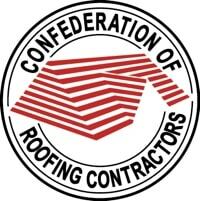 See the Competent Roofer video for further information. 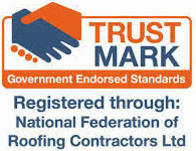 We undertake all aspects of Roofing and specialising in both domestic and commercial projects. Visit our Dulwich Showroom where we have a range of materials on display. Slates, tiles, Velux windows and much more. We offer a complete roofing solution to all homeowners in the London and Kent area. We partner with reliable roofing suppliers and manufacturers to provide a host of services including home extensions, loft conversions, painting, decorating, and property maintenance. From liquid applied to traditional felt roofs, we offer London and Kent homeowners a wide variety of flat roofing choices. Whether you are in need of minimal repairs or a complete overhaul, we provide a comprehensive soffit and fascia service. Our replacement fascia, bargeboards, cladding, and soffit come in both PVCu and timber. We have dealt with uPVC products from the mid 802. In fact, our team has completed hundreds of such jobs during this period. Save for a wash down every couple of years, these are maintenance free. We have a wide variety of colours and profiles to complement your property. To create a light filled room in your London and Kent loft space affordably, VELUX loft conversions are your best option. For examples on the various possible combinations, check out our VELUX page. Velux loft conversions will maximise natural light into the room and create a distinctive feature. Whether you want a Cabrio System, which creates, within the roof space, a dazzling balcony area by folding outwards, or need a tiny window to fill a dark stairwell with light, VELUX offers a wide selection of windows to suit your needs.